Fran is a deeply caring and skilled Somatic Yoga and Medical QiGong teacher, with more than 24 years’ experience in the field of Yoga and Somatic Therapy. 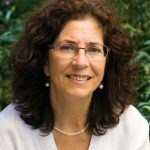 Fran’s passion is to assist students to restore a sense of balance, wholeness and vitality, through enabling them to recognize and allow the natural self-corrective process. Fran provides a very safe and nurturing atmosphere where students are invited to slow down and notice what arises with a quiet mind. People who attend her classes feel respected, and learn a deeper level of self-respect. Fran’s ultimate vision is for her students to receive the benefit of forming a more tangible relationship with their body and mind, and the natural world around them.